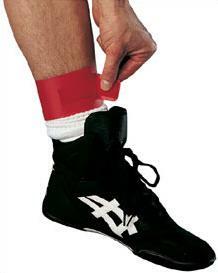 Will outlast any other ankle bands. Made from soft vinyl that wraps around and fastens with Velcro. Easy to put on, take off. Washable-will not shrink or stretch out of shape. Set of 1 each (1 Red/1 Green).